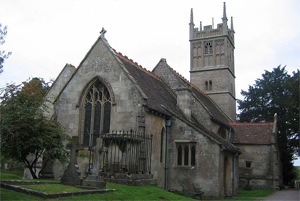 The parish of Yatton Keynell lies in the northern part of Wiltshire, often referred to as the ‘Wiltshire Cotswolds’ due to its local geology. It can be found 4.5 miles north-west of Chippenham, two miles east of Castle Combe in the Diocese of Gloucester and Bristol. The parish also includes the smaller villages of Giddeahall, West Yatton and Long Dean. The parish encompasses 1,717 acres. The name of the parish was originally Eaton. Henry Caynell had a holding there in 1242 and the inhabitants commonly called it Yatton. The parish was known as ‘Getone’ in 1086, ‘Yeton’ (1247), Yatton(e) Fees (1242) Kaynel (1289), Kaignel (1306), Kynel (1346) Iatton (1258, Jettun (1245), Yetton Caynel (1334), Yettonkenell (1553) Yeatton Keynell (1522), Churcheyatton (1530) Yatton or Eaton Keynell or Churche Eaton (1618). 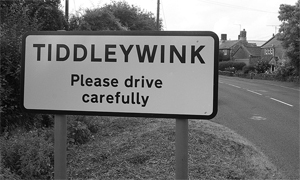 The name is a compound of gate, gap and tun, the gap being the head of the well-marked valley to the west of the village. Giddeahall was ‘Giddy Hall’ in 1773. It may have begun as a nickname, but it is not known why. Long Dean was le Longdene (1422), meaning long valley and West Yatton was Westyatton (1279). In the 11th century William of Eu was a major landowner. ‘An Englishman holds Getone of William. In the time of King Edward it paid geld for 10 hides. There is land for 7 ploughs. Of this there are in demesne 4 hides and there are 2 ploughs; and there are 10 villeins and 5 bordars with 5 ploughs. There are 20 acres of meadow. The wood(land) is 2 furlongs long and 1 furlong broad. It was worth £6; it is now worth £7’. 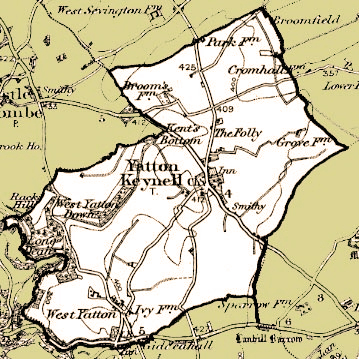 At this time Yatton Keynell seems to be part of the Thorngrove Hundred, but it had moved to the Chippenham Hundred by 1334. One major landowner in the 16th century was Sir Charles Snell. He sold up his land in Yatton Keynell (amongst others) to invest in the ship ‘Angel Gabriel’ for the expedition by Raleigh to Guiana in 1595. The family owned ‘The Manor House’ in West Yatton Lane from the late 17th century. The limestone grassland found in the parish is very uncharacteristic for Wiltshire and is more often found in the Cotswolds. Aubrey described Yatton Keynell in the 17th century as having clay and stony soil. The area held grazing land for sheep for many centuries and an area is known as “Sheep Slight Down”. Scrub was shown on the 1841 Tithe Map which was probably planted to form an enclosed field for sheep at night. The main crops grown in the late 19th century were wheat, barley and oats. Pasture had also become common by the early 20th century. Hammerdown Wood, after which part of the Castle Combe racing circuit is named, was originally grassland but was later planted with oak and beech in the 1950s. The place name ‘Park Farm’ to the north may suggest an earlier deer park; it was le Parkmede in 1354. It is possible, however, that the Castle Combe Park once extended out as far as this site. 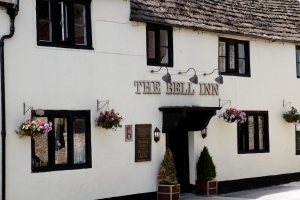 The Bell Inn had 17th century origins and is rendered with rubble stone and a stone tiled roof. It was originally an old farmhouse. Deeds of 1764 from a pub called ‘The Old Inn’ was otherwise known as ‘The Bell’ and consisted of outhouses, stables, a brew house, garden and orchard. In 1881 the proprietor was both a publican and a butcher. There was a toll gate situated after the Bell Inn, just before the vicarage ,and it was manned by a toll gate keeper in 1871. 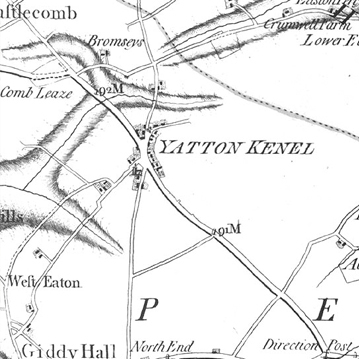 Yatton Keynell was on the Tog Hill route, revived in 1751-2 when the road branching from it at the ‘Long Stone’ went through the village to Sodbury, Gloucestershire. The notice from the toll, indicating tariffs and conditions, can be seen inside The Bell Inn today. ‘Lion Lodge’ was previously the Red Lion Inn in the early 19th century but has now become a house. It is of 17th century rubble stone, formerly roughcast, with a later 18th century mansard roof to the rear wing. There is an outbuilding to the north with 20th century windows. On the west side there is a house of late 18th century date, rendered, with ashlar dressings and a Bridgewater tiled roof. The Church of Saint Margaret of Antioch is on the West side of the Street. It is Anglican and in the Perpendicular style, 13th and 15th century. It was restored in 1868 by G. E. Street. There is a four stage tower, the lower part of which is 13th century and there is a 19th century renewed west window, of which the original 15th century glass still remains at the top. On the Grittleton Road is the Ebenezer Independent Chapel. It was also called the Congregational Chapel, built in 1835. The north side of the nave is 15th century. There is an ashlar lean-to vestry of 1868. The interior is a 19th century nave and chancel roof. The East window was completed in 1889. There are lots of 17th and 18th century plaques re-sited in the tower. Stone was quarried for local houses from the land adjacent to Kent’s Bottom. Kent’s Bottom is associated with the family of Thomas Kent (1752). 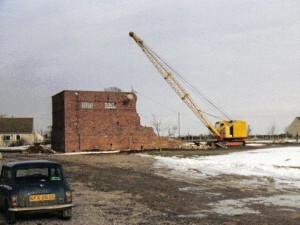 The site was later disused. John Aubrey stated “The freestone quarry between Yatton Keynell and Long Dean…does not endure the weather well”. A ‘tile digger’ from Yatton Keynell left a will in 1758, therefore some quarrying must have been taking place at that time. The Ordnance Survey map of 1886 shows old quarries marked to the south of West Yatton. The quarry and plantation to the north of Long Dean was extended by 1921. This map also shows an ‘old quarry’ at Chapel Wood, south of Long Dean, but it was not there on the map of 1886. In 1900 there was an old quarry next to Kent’s Bottom Farm and also to the west of Yatton Keynell. One also occupied land to the west of Giddeahall. The quarries were a major source of employment for local people. In 1851 there was a stone mason living in Yatton Keynell, five stone quarrymen from Giddyhall (also two lodgers from Gloucestershire who were coal heavers), two quarry labourers, one master stone mason from West Yatton and one Journeyman Stone Mason from Long Dean. In 1861 there were six quarrymen, one master mason and two stone masons, all from Yatton Keynell. By 1871 it was only possible to find one stone mason, one stonecutter and quarry man on the Census but four were noted in Yatton Keynell in 1881 and after this the numbers remained at around two to three. 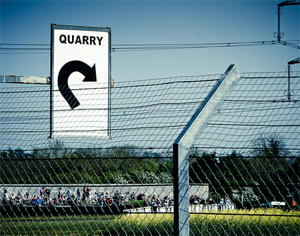 As with Hammerdown Wood, a corner at Castle Combe Circuit is named after the quarries. In 1848 the parish had a post office, plumber, glazier and baker at Giddy Hall and a blacksmith and corn merchant at Long Dean. 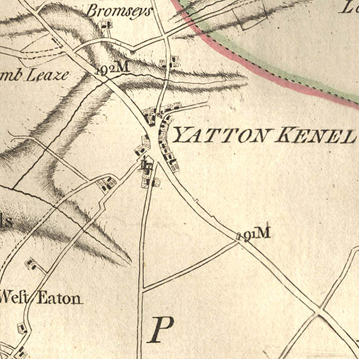 Yatton Keynell had a beer retailer, farmer, surgeon, malsters, carpenter and a shopkeeper. A shopkeeper left a will in 1747, and there was a will left by a ‘surgeon and apothecary’ in 1806. Occupations included a coal merchant in 1881, and a pig dealer from ‘Tiddleywink’. In 1898 there was an agent for the White Star Steamship Company (which owned the Titanic). The agent was still there in 1907, along with dressmakers. The Postmaster in Yatton Keynell in 1851 was John Andrews. His mother Mary was postmistress at Giddy Hall at the same time, but was classed as a ‘pauper’. She lived with her daughter, Elizabeth, who was a schoolmistress. John Andrews was still there in 1861 and also in 1871, aged about 79. James Cleverley had taken over by 1881 and he was both a farmer and sub postmaster. By 1891 he was listed as living at ‘The Grange’ with a lodger and mail driver. There were also two other postmen listed at other addresses. A map of 1900 shows the Post Office below the Rectory, by the road, in front of The Grange. It has been said that in World War Two the valley in West Yatton Down was used as a firing range. There was an airfield between Yatton Keynell and Castle Combe which was triangular; the bottom third was situated in the parish. Regular use began in 1941 when it was used as a training school for the No.9 Flying Training School based at Hullavington. When training was undertaken at night the grass runway was illuminated by goose-neck flares. In 1942 it became used as ‘advanced’ training for British, Commonwealth and Fleet Air Arm pilots. Locals must have seen a great variety of aircraft overhead from Hawker Hurricanes to torpedo and dive bombers. The airfield continued to expand during 1942 with more accommodation and instruction facilities. 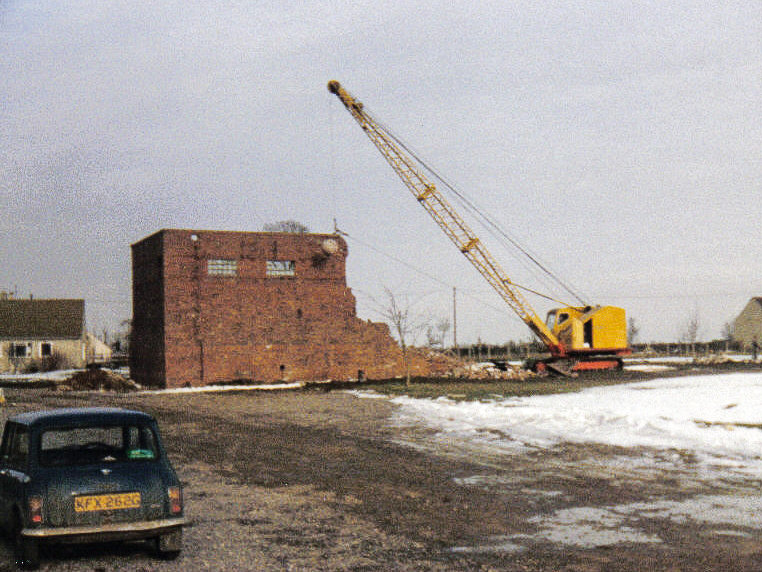 Some of them were placed on sites a distance from the airfield. In early 1943 water logging initiated necessary improvements including ‘Somerfield tracking’ runways and a tarmac perimeter but wet conditions continued to cause a problem. On 13 March 1944 a Stirling Bomber force landed at Castle Combe. Its bomb load exploded causing damage to airfield buildings. In May 1945 the airfield became disused but was re-used in July 1946 to June 1948 to house Polish ex-service personnel, finally being disposed of in September 1948. An oil pipeline runs underneath the village, still active but originally constructed to supply fuel to the south coast for the D-Day fleet. Block houses protecting the pipeline from aerial attack were eventually demolished and replaced over the next 35 years with the Village Hall, Jubilee Field, and Bybrook Valley School. 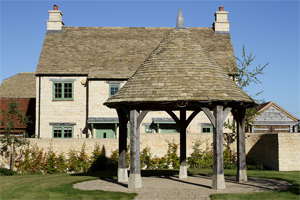 Constructed in 2010 from oak and Cotswold stone, the Market Cross in the centre of the village is the first traditional market cross to be built in Wiltshire since the 1800s. It occupies the site previously occupied by Church Farm. In summer 2011, two carvings were added to the oak beams of the Market Cross. One one side, the date of construction is picked out – “Yatton Keynell 2010″; on the other, a reference to the appearance of Yatton Keynell in the Domesday Book of 1086 – “Getone in the DB 1086″. In 2002 an avenue of trees was planted between the village green and the football pitch containing 10 pairs of London Plane, Maples, Cherry, Lime, Alder, Beech, Oak, Tulip and Poplar trees. It was planted to mark for Elizabeth II’s Golden Jubilee and the field is now named Jubilee Field. In 2012 a set of 14 granite stones were laid at the Market Cross, one for each of the names the village has had since the Domesday Book, with the final stone commemorating both the current name of the village and the Diamond Jubilee of Queen Elizabeth II.